Congratulations to Dr. Mirjam Rauwolf! Sincerest congratulations to Mirjam Rauwolf on successful completion of her PhD studies! The defence took place on 3 December. The dissertation can be found in reposiTUm (full text available). This month we published two great outputs from our measurements on two different synchrotrons. Diamond experiments are summarised in M. Rauwolf, A. Turyanskaya, D. Ingerle, N. Szoboszlai, I. Pape, A. Malandain, O. Fox, L. Hahn, K. Sawhney, C. Streli: “Characterization of a submicro-X-ray fluorescence setup on the B16 beamline at Diamond Light Source“; Journal of Synchrotron Radiation, 25 (2018), 1 – 2. 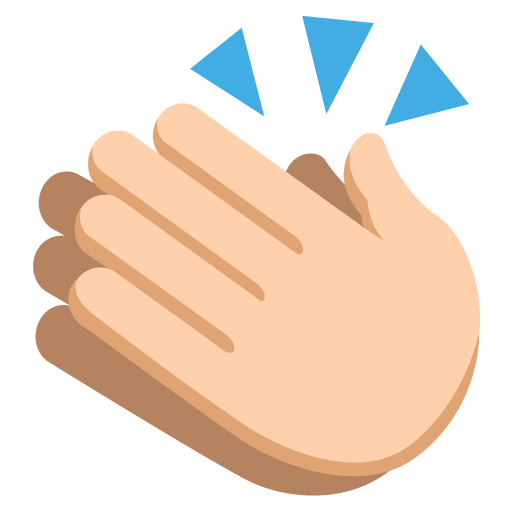 Elettra beamtimes reported in L. Perneczky, M. Rauwolf, D. Ingerle, D. Eichert, F. Brigidi, W. Jark, S. Bjeoumikhova, G. Pepponi, P. Wobrauschek, C. Streli, A. Turyanskaya: “Temporary implementation and testing of a confocal SR-μXRF system forbone analysis at the X-ray Fluorescence beamline at Elettra“; Nuclear Instruments and Methods in Physics Research A, 897 (2018), 114 – 119. Mirjam Rauwolf was invited to Jahrestagung FG Nuklearchemie, GDCh Scientific Forum Chemistry 2017 in Berlin, Germany and gave a talk on the “Synchrotron Radiation Micro XRF Analysis of Zinc in Osteosarcoma Tissue”. Hurray! We enjoy measurements at Diamond synchrotron a lot, so we’re here again! This time we’re searching for gadolinium – and enjoying English tea, of course. 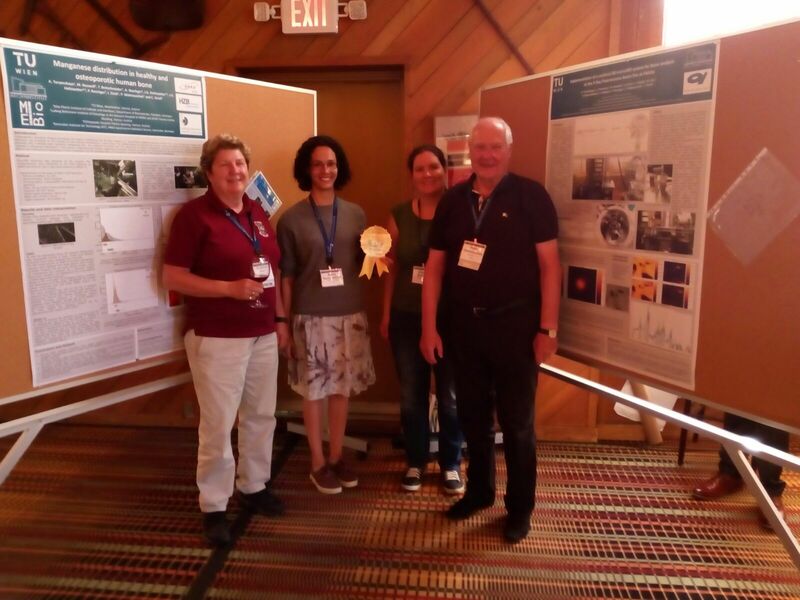 We attended this years Denver X-ray Conference in Big Sky, Montana from 31 July to 4 August. We were once again measuring at BESSY II. From 1.5-7.5. 2017 we measured our samples with a confocal microXRF setup at the mySpot. From 8.5-11-5.2017 we did XANES (X-ray absorption near-edge structure) measurements at the neighboring BAMline. While being at BESSY II, we were interviewed for the HZB magazine “Lichtblick”. The resulting article can be found here: https://goo.gl/3n33M8 (page 3, in German). Our group travels a lot this summer! 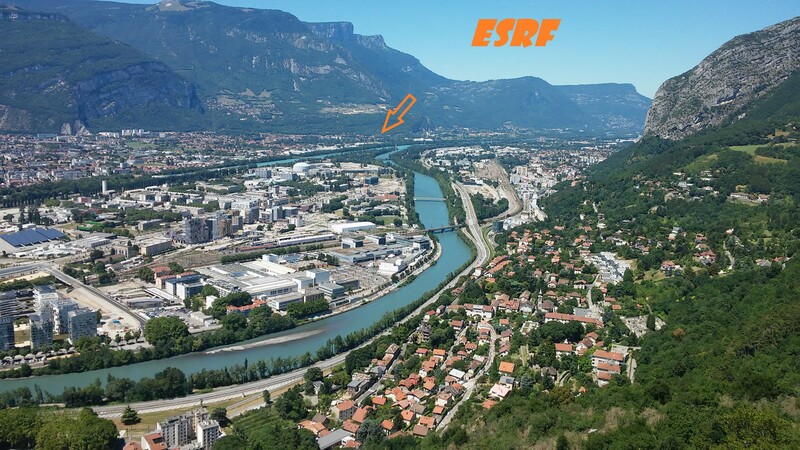 Now we’re at the legendary European Synchrotron Radiation Facility (shortly ESRF) in France – the brightest source, the highest resolution – some 50nm and truly unique location! Latest news from St. Petersburg! 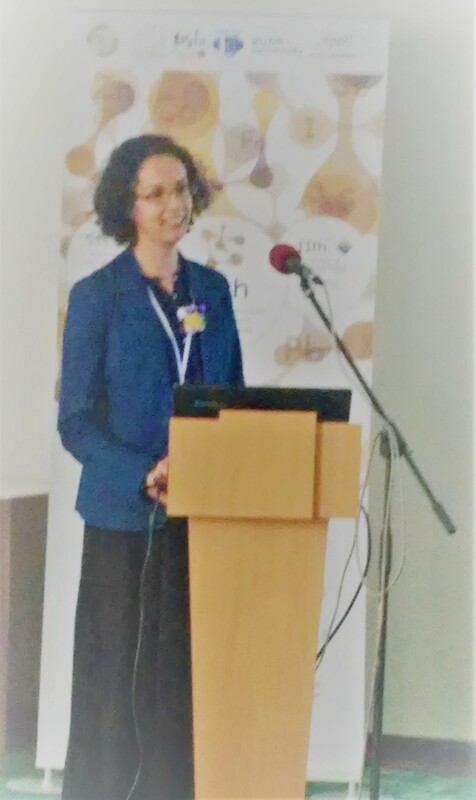 Anna Turyanskaya just delivered the talk “Elemental bioimaging in bone by µXRF” at 16th International Symposium on Trace Elements in Man and Animals (TEMA-16). Earlier this week, Dr. A. Pejovic-Milic (Ryerson Univerisity, Canada) presented the first results of joint project with our group – poster “Elemental mapping in rat bones treated with strontium ranelate and strontium citrate using µXRF”. 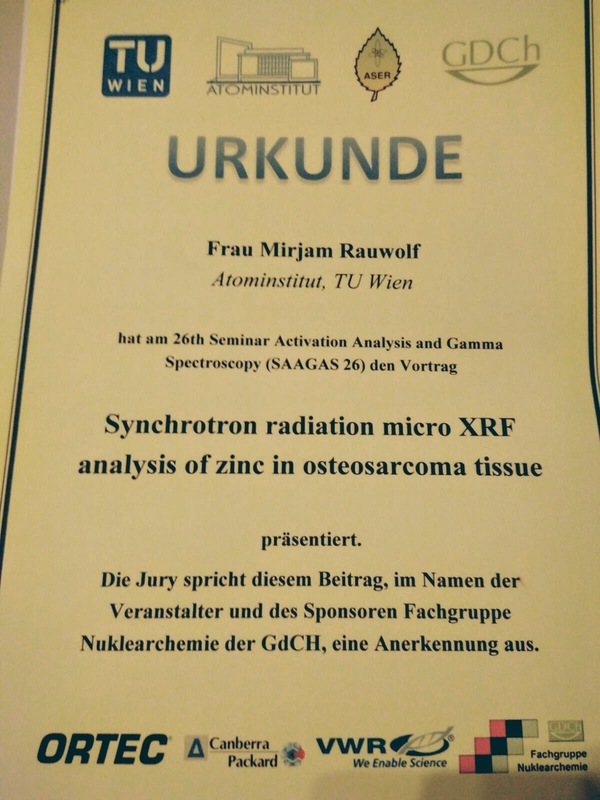 We’re very delighted to share, that the talk of Mirjam Rauwolf – “Synchrotron radiation micro XRF analysis of zinc in osteosarcoma tissue” received an award! In the middle of February we traveled once again to Diamond synchrotron. This time we performed highly-resolved (1 micron!) XRF imaging of bone-cartilage samples. Thanks to the supportive team of B16 beamline, we’re going to visit you again soon!